Forbes has been the latest victim in a cyber attack from the Syrian Electronic Army. 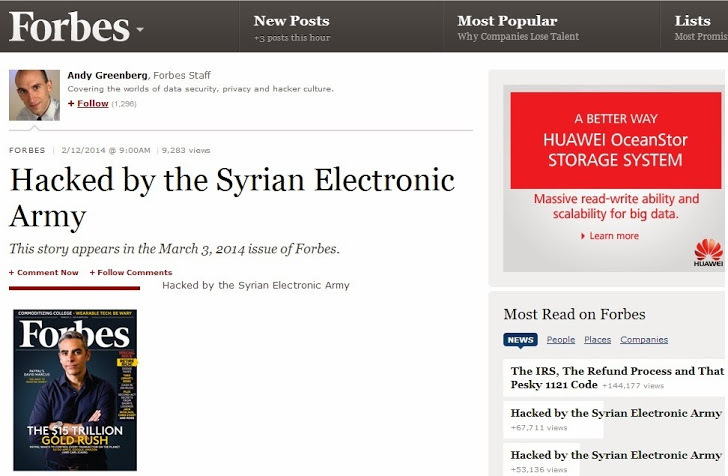 Pro Syrian Hackers, Syrian Electronic Army, targeted Forbes early morning February 14, 2014 (Valentines day). 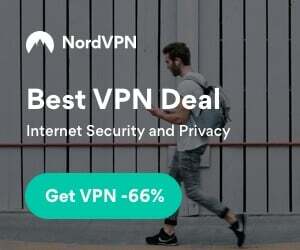 Notorious hackers going by the name, Syrian Electronic Army, have hacked many high profiles websites in the past including, Skype, Time, Microsoft, Vice, Facebook, CNN, and now Forbes. The Syrian Electronic Army has taken credit for hacking into the Forbes wordpress administrator panel, along with compromising multiple Twitter accounts. #SEA tweeted “Syrian Electronic Army was here” from the compromised Twitter accounts, including Social media editor Alex Knapp @TheAlexKnapp, along with Personal finance report Samantha Sharf @Samsharf, and @ForbesTech account. Not only did #SEA hack twitter accounts and post hacked tweets, the hackers left a blog post on the front page of Forbes reading “Hacked by the Syrian Electronic Army“. Many articles against the SEA were posted on Forbes, also their hate for Syria is very clear and flagrant in their articles. The Syrian Electronic Army has hacked many notable sites within the past year, and will continue their cyber reign on tech corporations.